I just love this! The idea is so simple, but execution is really beautiful and looks amazing. This is beautiful. I love it! You did an amazing job! Beautiful! I love how the flowers separate the two colors. Oh wow! I love this! 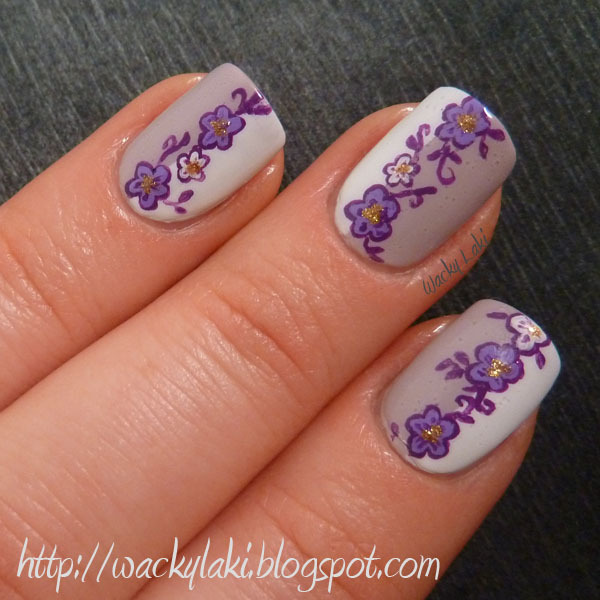 Your freehanding skills are amazing! I can see why it's your fav! It's beautiful! Love how both side of the flowers are different colors! 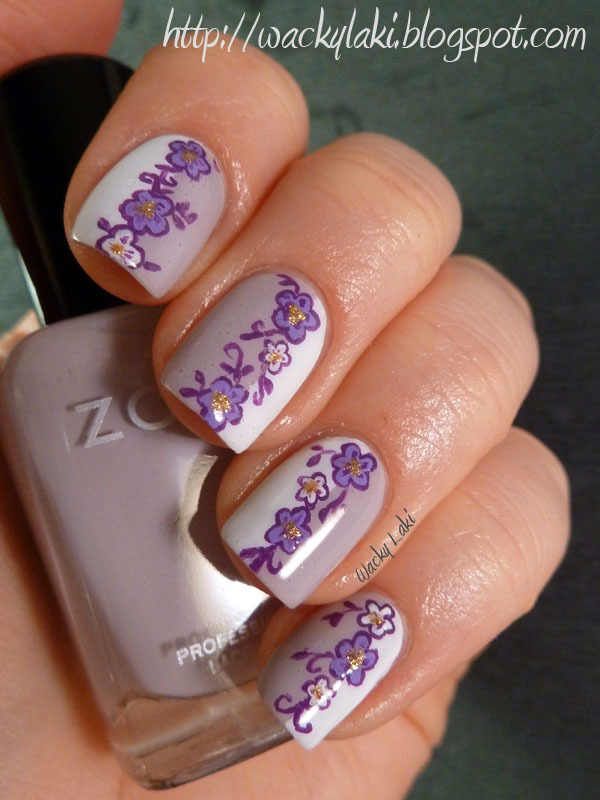 The nail art is absolutely gorgeous! I'd love to see a tutorial for it. Have a great day! I absolutely LOVE this, it's gorgeous and you did a fantastic job on the flowers, they are perfect! Seriouly???? This is freehand???? Stunning my dear-you need to do a tutorial on this one! OMG! 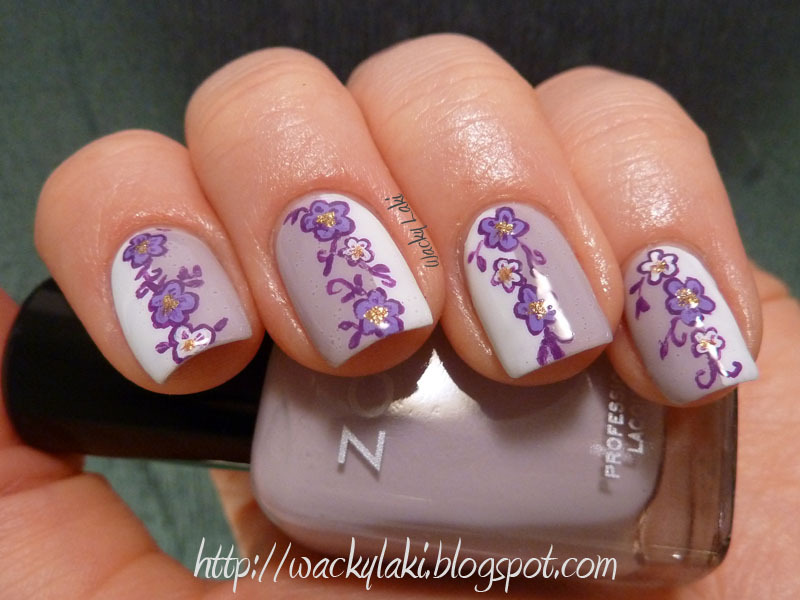 Your freehanded flowers reaaly are art... So neat!! I really love this look :) Beautiful! What a beautifull free hand nail art!!! Oh my gosh! Thank you so much for all the support! I appreciate every one of your comments! 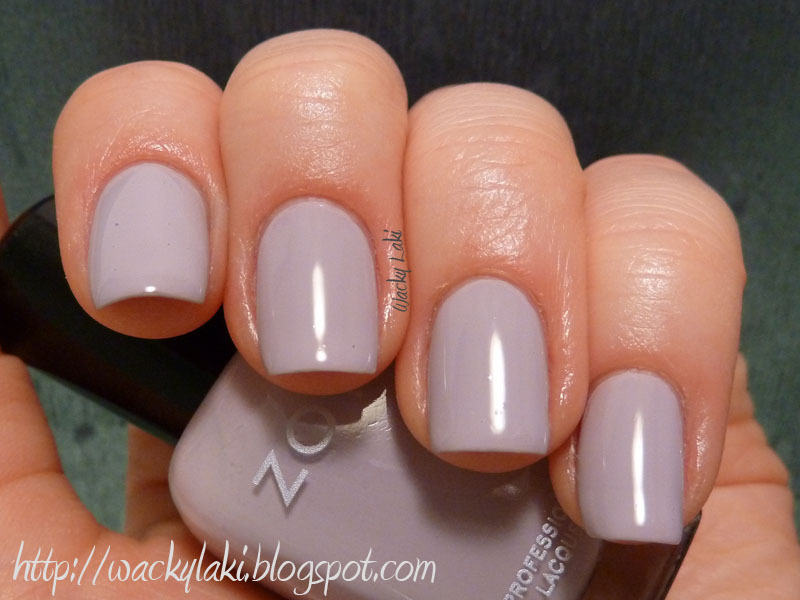 I beyond words love this mani! this is really pretty! 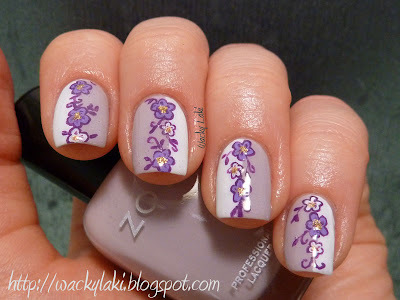 although, if I did it I'd use stamping instead of freehand because I'm not as patient as you obviously are! good job!